Avoid fires and burns on the job. 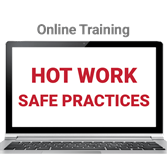 Learn how to perform hot work safely and keep your workplace injury-free with new Hot Work Safety Certificate Online Training. In less than two hours, working online at your own pace, you'll get the information you need to keep your workplace safe during all types of activities classified as hot work -- such as welding and allied processes, heat treating, grinding, thawing pipes, powder-driven fasteners, hot riveting, torch-applied roofing, and other similar applications producing or using sparks, flame, or heat. The City of Boston requires a Hot Work Safety Certificate for all persons engaged in hot work operations on the work site. This same requirement became mandatory state-wide in Massachusetts on July 1, 2018. 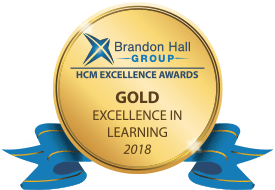 This course is a recipient of the 2018 Brandon Hall GOLD Excellence in Learning Award!